Why do We Need an iPhone Contact Cleaner? For some, erasing iPhone contacts may just sound absurd. After all, having as many contacts as you can is considered a good thing in today’s capitalist society. However, as much as it is a good thing, there are certain downsides to it as well. You may have a significant number of contacts in your contact list. Many of these contacts may have become obsolete either because the person has changed his or her phone number or simply because you are no longer in touch with that person. In any case, it is a good idea to remove unnecessary contacts once in a while as it lets you save iPhone space as well as allowing you to manage your existing contacts more effectively. All iPhone users will most likely be familiar with issues that they encounter with iPhone contacts. Although many seem to overlook them, they however become very frustrating over time leaving you no choice but to remove them once and for all. 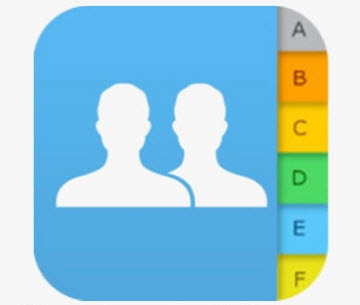 Duplicate Contacts: One of the most common issues faced by iPhone users is related to duplicate contacts. Most of us have the same address book for our work and home. However, this results in many contacts being duplicated and messing up the entire screen. 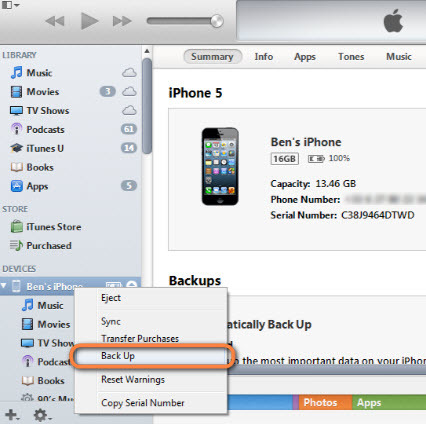 Contacts Backup: Another similar issue occurs whenever you back up your device. Somehow, your contacts are also backed up producing two or more contact links of the same person. Deleted Contact Records: Whether or not you have deleted a particular contact, the call log still displays your call history associated with that particular contact. All of these issues waste storage space and therefore it becomes important to get an iPhone contact cleaner to delete unwanted contacts as soon as possible. There are a number of ways in which you can deal with such contact issues on your phone. Below are some of the methods that you can adopt in order to manage your contacts more efficiently. If there are only a few duplicate contacts that you know about, you are better off removing them manually. You can do this by simply tapping and holding the contact and pressing delete in the pop-up menu. If you are unsure whether it is safe to delete duplicate contacts, then it is probably a good idea to merge them together so that they take up lesser space. 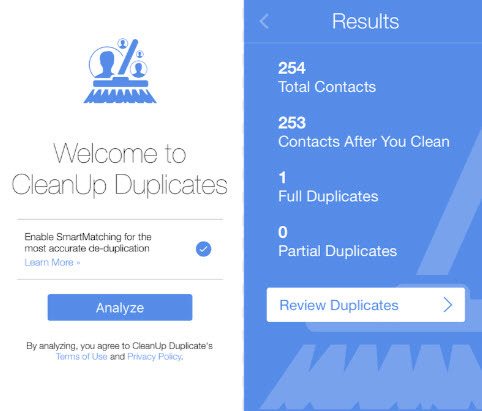 You can do so by using the Cleanup Duplicate Contacts app. The process is pretty simple. All you need to do is grant the app access to your contacts. Once you do so, the app will analyze all the contacts and will determine which ones are duplicates. You can then merge the contacts accordingly. Normally, iTunes will create a back-up of your contacts automatically. However, if you have disabled the option, you will need to enable it by syncing your device with iTunes. You can do so by connecting your iPhone to the computer and launching iTunes. Select the device from the left pane and select “Info”. See if the “Sync Contacts” box is checked. Right-click on your device’s name and select “Back Up”. iMyFone Umate Pro or iMyFone Umate Pro for Mac is an innovative easy-to-use data erasing solution for all your iDevices. You can use the software to erase all your redundant contacts in one go. iMyFone is equipped with the latest and the most advanced of features that let you erase all types of iPhone data. Using the “Erase Private Data” option, you can easily erase your private data. In fact, you can preview the files that you want to delete and then select the ones you do not need. This way, you can make sure that important files are not deleted. You can also use the “Erase Deleted files” option to erase your previously deleted contacts to avoid privacy leak. The contacts erased by Umate Pro are 100% unrecoverable, while contacts deleted in normal ways can be recovered by data recovery tool easily. As mentioned earlier, Umate Pro is a robust and effective iPhone data-erasing app that lets you erase unnecessary data within no time. It has four different cleaning modes; one-click cleanup, erase all data, erase private data and erase deleted files. All of these features help you save space, time and allow you to protect your privacy along with being secure. 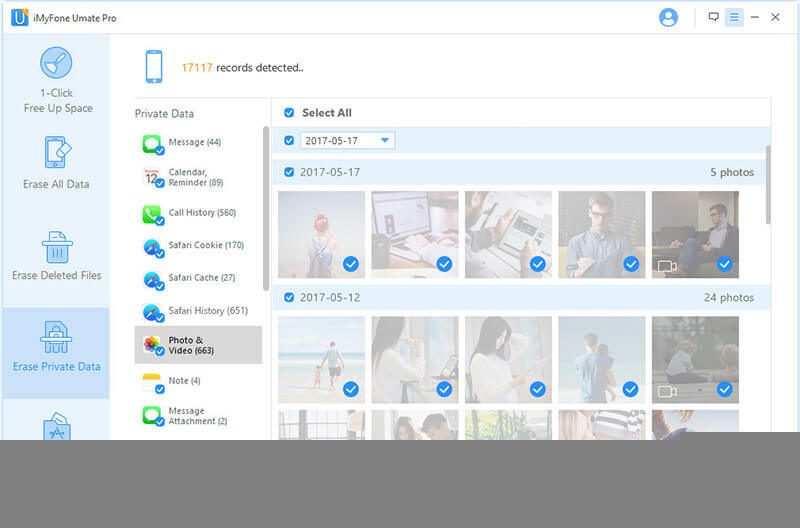 One of the biggest advantages of using iMyFone is that it allows you to selectively erase files: messsages, contacts, call histories, photos, videos, WhatsApp messages, WeChat messages & attachments etc. This means you can preview the files that you want to erase and thereby remove only the files that you feel are not important. Furthermore, you can compress photos and export photo & videos in no time. This means you do not have to spend a lot of time manually deleting large files. Here are the steps that you can follow in order to erase your iPhone contacts. Step 1: Launch iMyFone Umate and connect your phone to the computer. Step 2: Click “Erase Deleted Files”. iMyFone will start scanning your device for all private files. Step 3: You can then select the “contacts” check box on the side to see all the contacts on your phone. Select the ones that you want to remove and click “Erase Now”. Step 4: Type in “delete” to confirm and press “Erase Now” again. Another way in which you can reduce the number of contacts is to avoid saving different contacts with similar names. Also, you may try using iCloud to manage your contacts. Using the iCloud syncing feature, you can sync your contacts with various other services such as Google, Yahoo etc. Lastly, try adding a photo to all the contacts that you have. This way it is easier to manage them as you will know which contact detail belongs to whom. How to Remove Facebook Contacts from iPhone on iOS 12/11/10? How to Delete Multiple Contacts on iPhone as a Whole or Individually? How to Delete Numbers from iPhone? Learn the Best Way Here!